Love~Soulmate Expert Accurate Timelines Details! LTD TIME $3.99 per min/regular $4.99 per minute! Unfold the mysteries of your life to find a solution that works for you and give you the guidance you need to empower your life and enrich your soul. Relationships can often leave us feeling confused. They can bring love, joy or heartbreak. Do you want to gain insight into the heart and mind of your loved one? Your emotions can cloud your judgment and when you are dealing with matters of the heart you may not be at the top of your game. Before you make a mistake that could possibly make your situation worse, give me a call. We can assess your situation to come up with a game plan to get the outcome you desire. 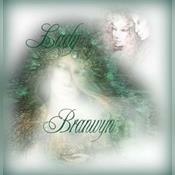 Lady Branwyn is a master psychic whose ancestors have been spiritual advisors for centuries. Lady Branwyn uses the Tarot as a tool to higher consciousness to tap into your situation quickly and efficiently, using an astrology based spread to effectively predict timing of events. Branwyn will tell you exactly what she sees and feels concerning the painful situations around you. Please consider this may not be what you want to hear, but what you need to hear. By empowering you to see the situation as it really is so you may choose the path you wish to take for your own personal happiness and evolution of your soul. All clients are ultimately responsible for their own decisions, choices and actions. I offer guidance to help you on your journey but you have free will to make the most of your situation. By purchasing a reading with me you acknowledge that you have read, comprehend and agree with the above disclaimer. Any prediction or other message that you receive is not a substitute for advice, programs, or treatment that you would normally receive from a licensed professional. Lady Branwyn has been a user of Keen since 2004. Getting Spiritual Readings advice from Lady Branwyn through www.keen.com is safe, secure and confidential.